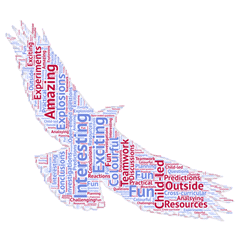 The profile of Science is high at Hawkinge Primary School; we work hard to make sure it is investigative, hands-on and fun! Children engage in termly Science topics where they are given the chance to ask their own scientific questions and work scientifically to explore new learning. 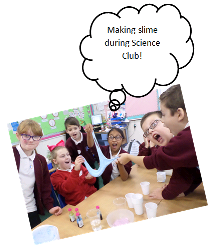 We run a termly Science Club which is in high demand due to the nature of the exciting experiments that take place! Hawkinge Primary has recently been accredited a ‘Primary Science Quality Mark’ award at Gold level, meaning that not only does high-quality Science teaching and learning take place in our school, but our knowledge is shared beyond our school too! Science is interesting, colourful and fun. Science involves working together as a team to find things out. Science is child-led and encourages children to ask open-ended questions. 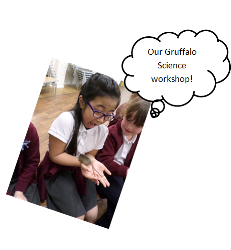 Science involves using a range of exciting resources to carry out investigations. Science is carried out, outside of the classroom. Science involves making predictions, drawing conclusions and discussion. Click here to read our weekly newsletter. Here, you will find fun facts and exciting experiments that you could try out at home! Don’t forget to bring in photographs to show Miss Sotiriou! Our Picture Gallery contains lots of photos of activities carried out at Science Club, in Science lessons and during British Science Week!